Terry Crews was photographed yesterday on the streets of New York City. 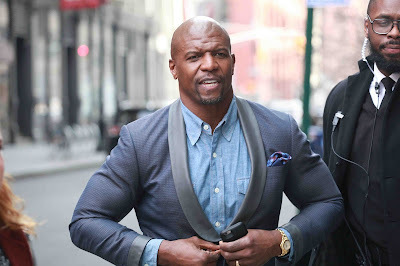 Terry Alan Crews is an American actor and former American football player. He currently appears as NYPD Sergeant Terry Jeffords in the Fox sitcom Brooklyn Nine-Nine.